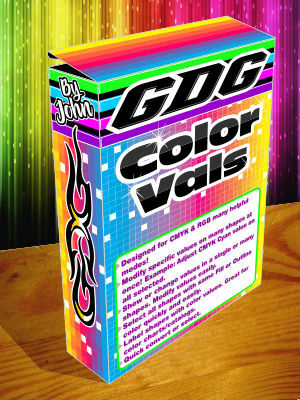 Designed for CMYK & RGB value adjustments. Includes many helpful modes and extras. Modify specific values on many shapes at once! Example: Adjust CMYK Cyan value on all selected. Show or change values in a single or many shapes. Modify values easily. Select all shapes with same Fill or Outline color quickly and easily. Label shapes with color values. Great for color charts/catalogs. Quick convert or selection of shapes based on color properties. Note: this version is for CorelDraw v.2019 only.